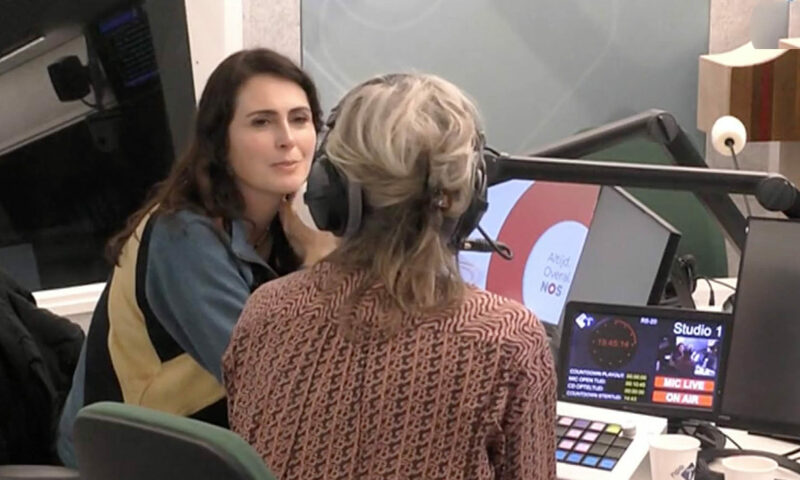 On Wednesday 06 February 2019, Within Temptation singer Sharon Den Adel joined Jellie Brouwer at the Dutch NPO Radio 1 for an interview. 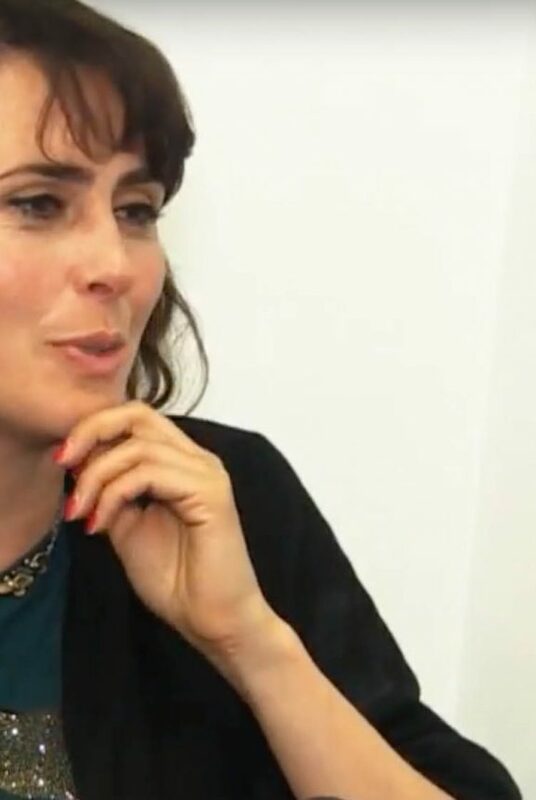 An interview about Within Temptation, My Indigo and her personal life. You can check the full interview online, below a shortened translation. Sharon: “Yes, for sure. Well, actually, it was the Mother Earth dress. The dress from the Ice Queen video is from the same designer, but it was a different dress. It was a white dress, but not THE white dress – haha -. Sharon: “Next to I did just not have the emotion to write for the band, we also did not have a clear direction in which we were going with writing. We always want to surprise ourselves, to push our boundaries to create something refreshing. After “My Indigo”, we learned new techniques of writing and producing. This, together with the music we listened to, inspired us to create the new album. We got inspired with bands who make different music every time and thought ‘why don’t we have like a cross-over with the genres we like?’. With some elements from the music of, for example, Imagine Dragons – which we listened to quite often – we learned new ways to create different music. Not only this band, but the scene. Once we knew which direction we wanted to go to with our new album, the puzzle pieces fell into place. I fought the demons inside of me, made new music, personal music, close to me. I can conquer the world again, and I’m ready for Within Temptation again. Sharon: “It’s my thing, I really enjoy it. I had to learn how to, it’s not a gift given to me naturally. But it is more, after the second song, I get more relaxed. In the beginning I’m mostly afraid of making mistakes, I’m sometimes too much of a perfectionist and try not to fail. But on the other hand, people only like it when I fail – haha – those are the things why I am nervous. But luckily one of our guitarists calms me down when this happens. He talks to me in a good way like, ‘Why do you do this again Sharon, what is the reason we go on stage?‘ Oh yeah, because we like it! That way, I enter the stage in a way better mood. Sharon: “I knew it for a long time, music was my passion. But I never prepared myself that it would be successful. Never prepared myself to be in the spotlight, better not to be though – haha – but making music is my passion. I know, for example, Barbara Streisand was afraid to go on stage. But these days, I hear more and more artists near me say that they’re actually also afraid and the pressure. I’m not that much different, I think. Before, I had Robert. With him, talking to the audience was completely natural, he loves to talk. When he decided to stop with Within Temptation, I had to learn it. To think how I would do this. So now I prepare myself what to say. So many people, so many voices, people waving and talking. You get distracted so quickly. But I got to say, after a couple of shows, I get way more confident – haha – and nowadays I am more spontaneous although I did not choose to go on stage to talk to people. I chose to sing and write music. Sharon: “Yes indeed! During our college period, I was in the school band. Robert wanted to know me and joined the school band. I was also in the party committee and saw him there as well. “There is he, again“. I found him in the early days pretty annoying, he has an opinion about everything and is pretty loud in everything he says, thinks and talks about. Eventually, we became a couple. Back in the days he was already in a band, with our current keyboard player and bassist, “The Circle”. He got kicked out eventually, but I really liked the music. He introduced me to this music and I fell in love. Eventually, we started Within Temptation. We wrote the music together, he wrote the music and I the lyrics. Sharon: “No indeed. In 2007, we were even separated for a while. It became too much at a certain point. We were even on tour for a week and a half, or longer even, while we were not on good terms. I can never recommend anyone to be in a band as couple. The pressure on the band and performances increased over the years. In 2007, Robert and I were together for 15 years already. We started a family, just moved, in combination of the pressure on the band made it gone wrong. Eventually, we got back together. But you need to take a step back and think ‘what is going wrong?‘. Well, that became clear, it is not healthy to be together for 24 hours a day, 7 days a week, every month, every year, at home, on the road. That was the turnpoint of him leaving the band. It was his decision, and I fully agreed actually. It was a good decision, I had to adapt but it was the only choice for him. He really enjoys to go on tour and explore things with the guys, that’s what he needs to miss these days. But every now and then he joins us on stage for fun, to see all the fans and band members again. But he really enjoys writing and designing stage decor the most, actually. 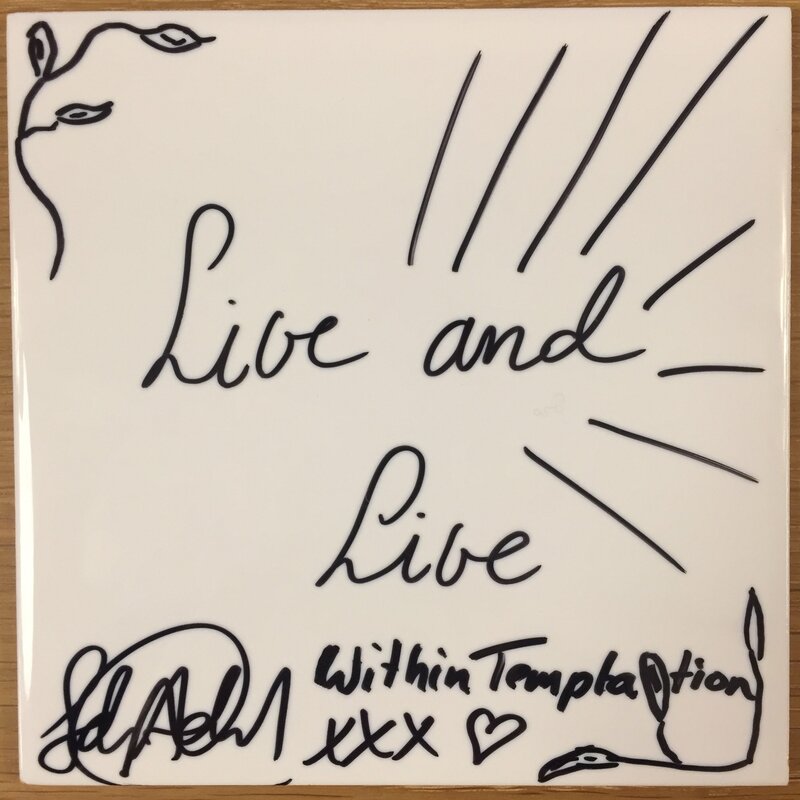 During the show, artist get the change to write a personal piece of text on a tile, which means a lot to them. Sharon explained she has two important lines, “Carpe Diem” and “Live and let live”. She chose the last one to write on this tile. You can listen to the full interview, in Dutch, on the NPO Radio 1 website. This global translated interview is translated by DONTTEARMEDOWN. Feel free to translate it back to your language, respect the website and always link back to this page.